This summary progress review concentrates on 2004 activity but if you wish to access more historical information please click on the appropriate heading below. Additional progress items are highlighted in the 2004 news section accessible here. The INSS entered its fifth year of data acquisition in March of this year with the arrival of the Kongsberg Simrad ConCat catamaran into Dublin Bay. Together with our partners, MI, Imar Survey and Maritech we employed this tiny nearshore marine survey catamaran as a means to combine data with the Celtic Voyager. For further information click here. On May 19 the main body of this year's survey commenced with the deployment of the Marine Institute Vessel, the Celtic Explorer, from Cork towards Limerick to survey the approaches into the Shannon Estuary. Surveying all the way in transit the Explorer then commenced surveying in the "Unsurveyed" area (as defined by the Admiralty navigation chart for the area) on the afternoon of the 20th. 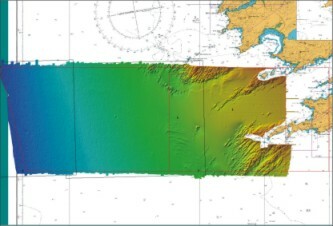 The Marine Safety Directorate of the Department of Communications, Marine and Natural Resources had specifically requested GSI to survey this potentially dangerous area to fill in the gaps on the navigation chart and perform a service of potentially vast economic value to the state - the area is a busy shipping area, but would probably be much busier if charted. Following consultations with the National Parks Wildlife Service and the Irish Whale and Dolphin Group, no surveying took place in the Special Area of Conservation designated here. For her second leg, she returned northwards to continue surveying off Donegal. Her third leg took her off to the shallow waters of the Rockall Bank and legs 4 and 5 brought her back towards Donegal and the Irish Conservation Box west of Bantry Bay. 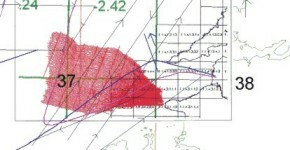 A high-resolution seismic survey west of Rockall and in the Hatton basin took place in July of this year. Two surveys were involved - 1. Investigating possible Hydrate deposits wet of Rockall and 2. Investigating the extent of sedimentary rock in the Hatton area. The survey was done in conjunction with Petroleum Affairs Division of DCMNR and the Irish Shelf Petroleum Studies Group, utilizing the Irish Lights vessel the Grainuaile. The Dublin Institute for Advanced Studies are currently working this data. Over the course of this season's work seabed classification has been undertaken in real time. 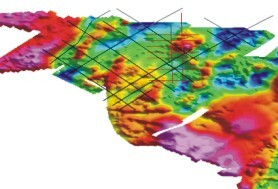 This along with sub-bottom data, backscatter and bathymetry is used to carry out initial groundtruthing in areas being surveyed (see opposite 1 and 2). 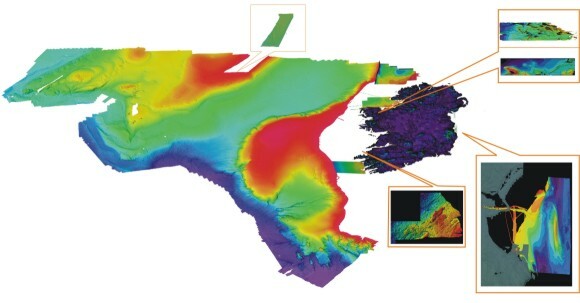 INSS's work on Seabed Classification is breaking new ground and various international organisations are now seeking to learn from the Irish experience. To this end a workshop will take place in GSI in January 2005 detailing our seabed classification system. Details can be accessed here.